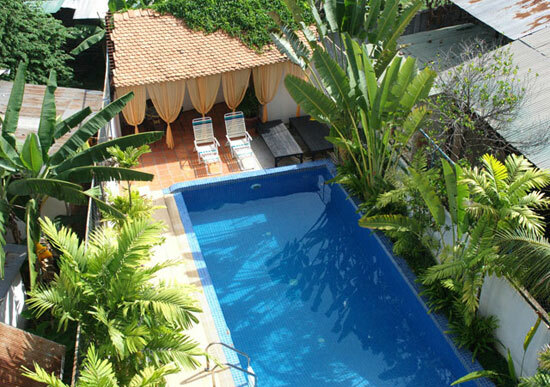 Formerly the Encore Angkor, Villa Sok San Square is only a minute’s walk away from the heart of town, yet offers a full-service at very reasonable rates. Average rating 8.1 from 253 reviews. The rooms are simple and functional, but spotlessly clean with attractive decorative flourishes to soften the feel. They come with all of the features that you would expect including fridge, safety box, air-con, TV and WiFi, and each one also has a bathtub to help ease aching bones after a long, hot day of temple bashing. Complimentary tea and coffee are also provided. 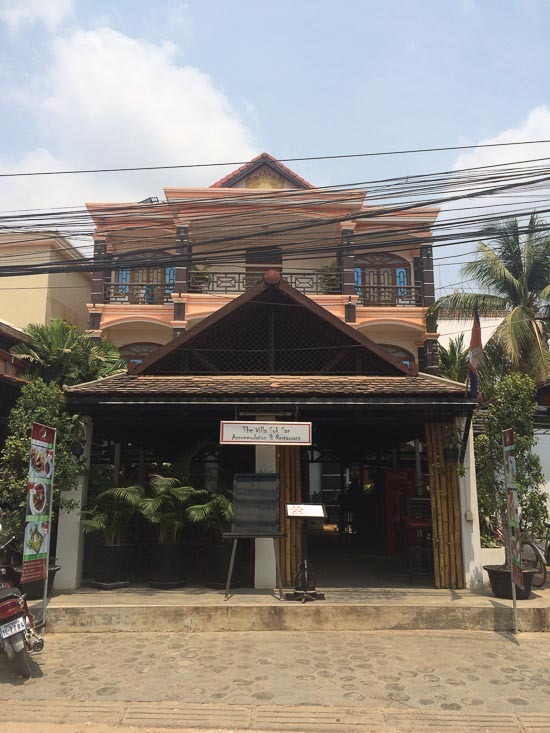 There is a mid-sized pool at the back, which doesn’t get a great deal of shade during the day, and out front a friendly, open-air restaurant serves a selection of Khmer and Western dishes all day. You’re also directly opposite the popular Genevieve’s restaurant, and only a few doors up from Haven, a vocational training restaurant that also serves delicious food in a lovely garden setting. Despite the hotel’s proximity to the action, both in town and on the increasingly busy Sok San Road, it is quiet. Double-glazing has been installed to help make sure it stays that way. The staff were very friendly and helpful when we visited. The rates below do not include breakfast, and booking in advance can in some cases secure substantial discounts. One way pick-up is included.